I used half my tax return to buy myself a new toy – a Canon EOS 1000D – my first digital SLR. I love and adore it and I took 500 photos in the first 24 hours I had it, 8 of which were spent sleeping and 4 of which were spent waiting for the battery to charge. It’s dreamy. 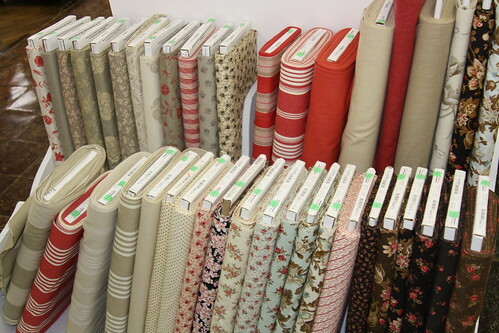 Was I ever surprised to find not only quilting fabric, BUT BOLTS OF MODA, Anna Maria Horner and Amy Butler. Holy smokes! I did a literal double-take as I meandered past a rack of French General Rouenneries. 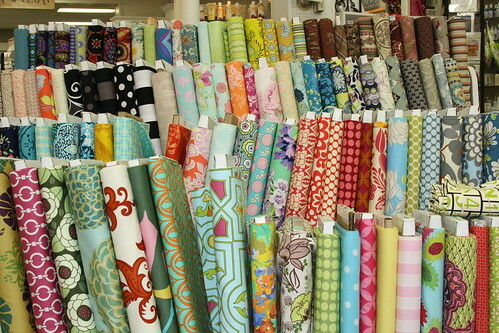 All that online searching and shipping expense and wondering what fabrics would really look like, and so much of it is right here in my back yard. 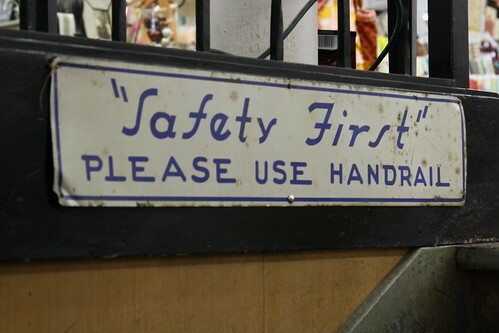 In a store in my old hometown. A store into which I have not been since high school! What’s more, the fabric lady said, “Oh, we’re almost completely wiped out of Moda right now, due to the sale we just had.” Are you kidding me? Have I ascended? It was the same place, but so very different. It was a good day, yesterday. 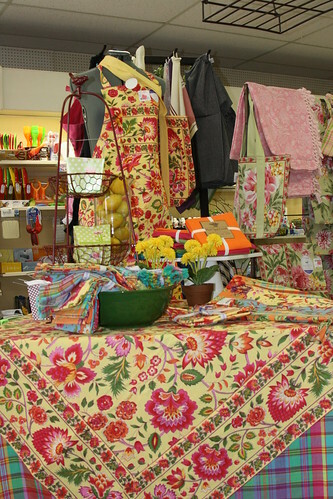 Wandering around Mason and through the store was a fantastic trip down memory lane and may have reignited my slightly-dormant quilting bug. There’s a scarf to finish, and Dad & Janet’s quilt to bind, but we’ll see what happens after that. 2 responses to Quilting Content! Sort Of! well would you look at all that stuff! 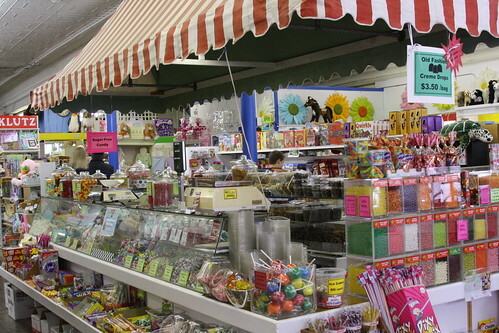 it looks like it’s a lot of fun both the candy section and all the fabric! Congrats to you on your new purchase! I have considered purchasing a DSLR camera myself but I can’t for the life of me decide which one I should get. Every review I read seems to have so many conflicting reports that I don’t know which would be worth the money that I spend. How did you decide?